Conspiracy theorists have many tools in their arsenal with which to seek the truth about extra-terrestrial life. So when some UFOlogists spotted a flying saucer spaceship parked up outside NASA’s Jet Propulsion Laboratory, amid a lot of squinting at the online image, they were convinced they’d uncovered an instance of human contact with aliens. But sometimes the internet can be a little misleading, particularly when it comes to satellite imagery courtesy of Google Earth, shot from drones miles and miles above terra firma. UFO hoax busters, UFO Of Interest, quickly proved the ‘flying saucer’ was in fact the Californian facility’s 3000 Foot Range antenna. 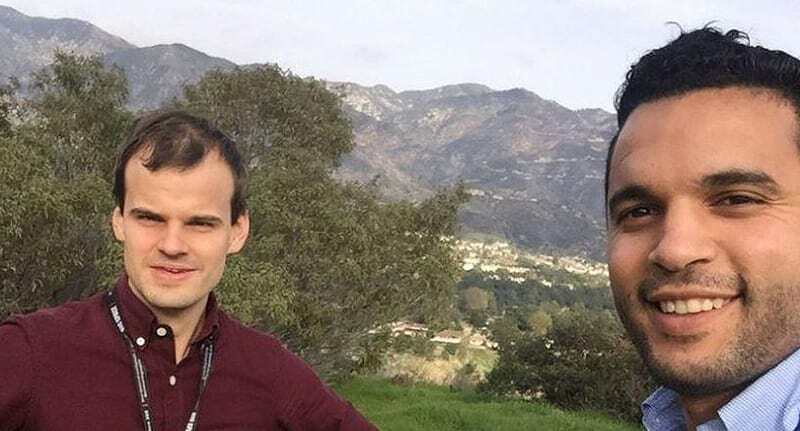 Just to add insult to injury though, two research scientists based at the Jet Propulsion Lab shared a selfie with the suspected ‘unidentified flying object’. 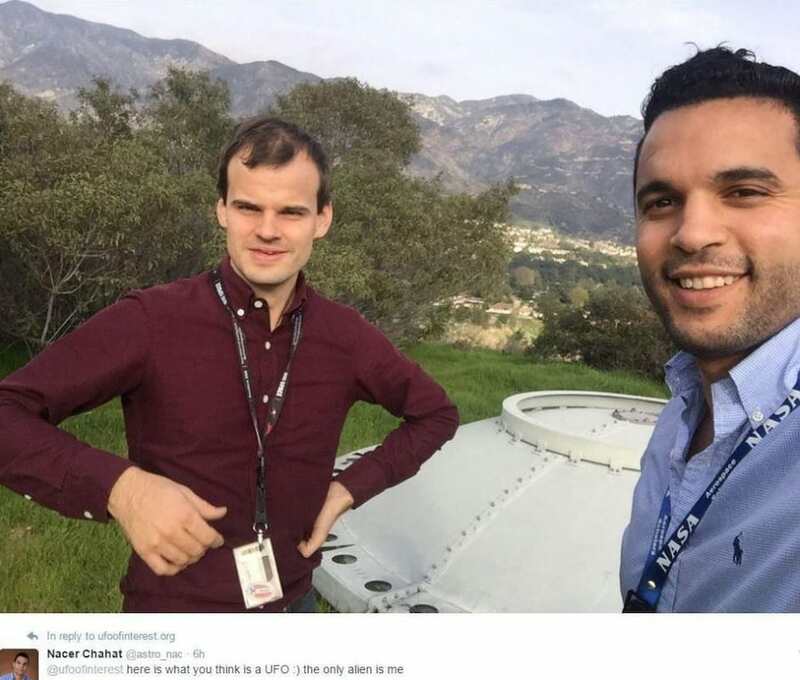 Engineer Nacer Chahat took to Twitter to share a photograph with the “flying saucer”. Here is what you think is a UFO. The only alien is me. That’s one burn that is out of this world.